Tags: Gus Hansen, high stakes, Leon Tsoukernik. Posted on Tuesday, February 27, 2018 by "T". A week after Viktor ‘Isildur' Blom won the Main Event at the partypoker LIVE MILLIONS Germany Main Event for $1,048,153, the high stakes cash games continued at the King's Casino Rozvadov, Czech Republic. One of the players who decided to just immerse himself on the excitement that only juicy high stakes cash game action can bring and entirely skip all the tournament events at partypoker LIVE MILLIONS Germany is Danish poker pro Gus Hansen. He had just recently returned to his home country Denmark and had published a short video blog on his Instagram account a couple of days ago. 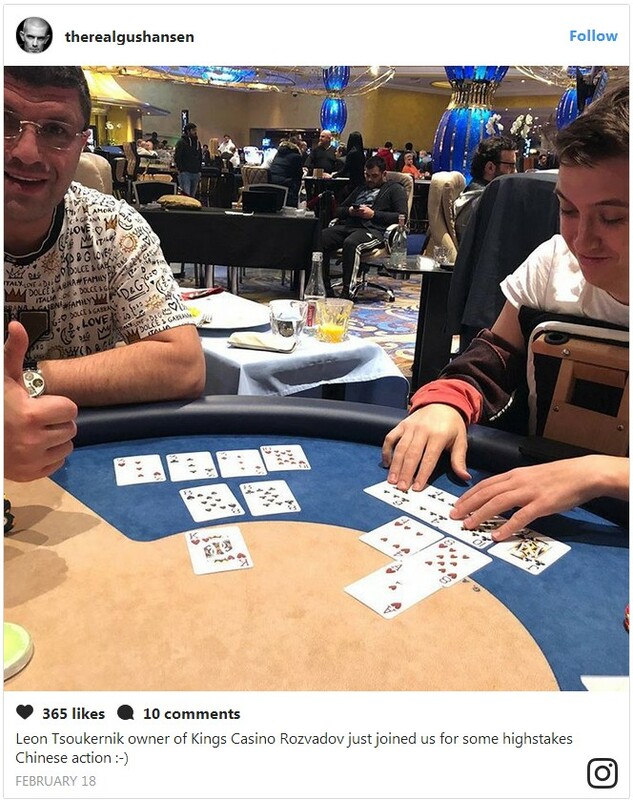 According to the 44-year-old WSOP bracelet winner, his Rozvadov trip lasted for two weeks, and even though he lost the biggest pot of approximately $500,000 to King's Casino owner Leon Tsoukernik, he said he still managed to end his trip with a six-figure win. The ‘Great Dane' now plans to head over to Austria to get some more of his favorite high-stakes cash game action. 13 comments for "Gus Hansen loses $500,000 pot to King''s Casino Owner"
Never thought will see him again in the tables after his lat results. a huge pot even for professional gamblers. I think he will suffer a period of time until he relaxes. It's not easy to lose so much money with a big pot. I wonder what was in Tom Dwan soul when he lost 20 millions pot. Great suffering. Does not compare to the Gus Hansen pot but both of them had a shock with these pots, i think. Gus is a sick player in high stakes games so he will either win very big or lose very big at those tables and is it a good thing for him as a lose and aggressive player? I mean is it really profitable? What I know for sure that I will never play at such stakes even if I will have that money There's no point in that, you don't need to play poker for living while having millions- there are better and safer alternatives. yea.. me neither. guess the pros gonna think aswell: "yay! the fish is back"
Iff u wanna see someone loose,..then gus is youre man,..
Is it bad luck mega downswing mega doomswitch that never can be turned off,.. 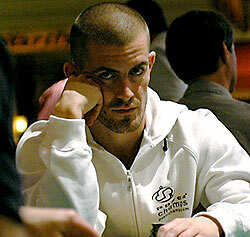 If Gus Hansen is so bad, how come that he is considered as a poker pro? Maybe he plays with someone else's money? Some sponsors can give him money to play because he's an attractive and interesting person, or to show viewers that fishy players can be met even at high stakes. pajalnick my friends any pro player has bad times in his career. It's not easy to resist in tournaments, to do a multitude of final tables and for a period of decades to stand only on top positions. It's too hard for any pro. All pro players will not succeed to resist a life only in the sky of poker. That does not mean that Gus Hansen no longer knows poker. He knows this game very well.